Monitor your home using this powerful tutorial. Only two components needed: a Raspberry Pi and a Sparrow Sensor Node Kit. 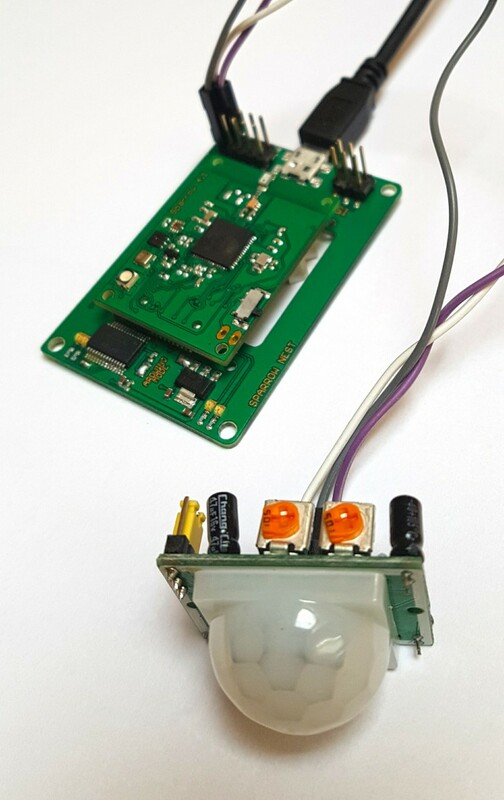 Do you want to build an IoT-enabled home monitoring system that can measure environmental parameters and also detect intrusion but don't know where to start? This easy tutorial will deliver everything you need with only two major components: a Raspberry Pi and a Sparrow Wireless Sensor Node kit. No soldering, and minimal wiring needed! With this system, you will be able to remotely monitor and log temperature, humidity, pressure, luminosity, IR and UV indexes and also detect intrusion. The system is also extensible, you will be able to add multiple wireless sensors to your home, monitoring every room in your house or outdoor parameters. 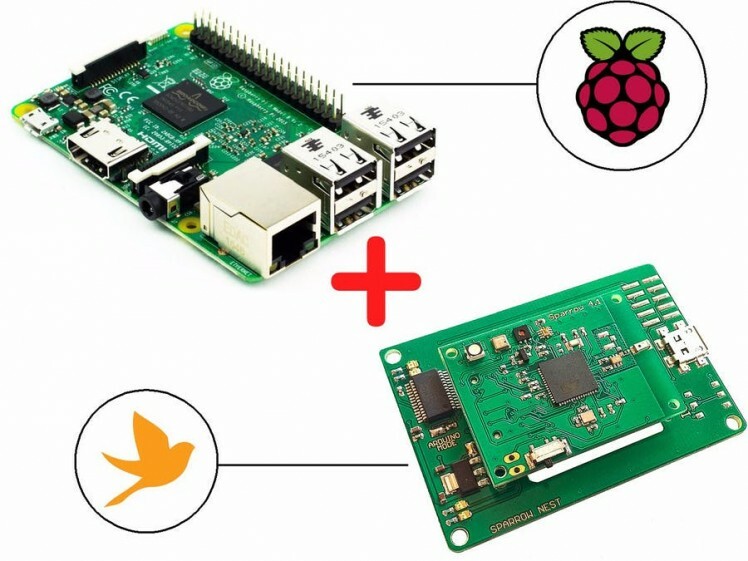 For this project you will need a Raspberry Pi, two Sparrow Wireless Sensor Nodes and two Sparrow Nest programming boards. Also, if you want intrusion detection to work, you will need a PIR sensor. Hardware modules you'll need for this build. The PIR sensor is optional. First, you will need to install the Arduino IDE and also the patch to make it work with the Sparrow nodes. You will find everything you need in this tutorial. Each Sparrow node has integrated sensors for temperature, pressure, humidity and light levels, so we will need to write a small program that periodically reads these values and sends them through the serial port. While it's not mandatory, it would be a good idea to check out the basic tutorials here in order to get accustomed to the sensor node. For this project, you will need to install the following libraries for the Arduino IDE: SHT2x for the temperature/humidity sensor, Adafruit's Si1145 for the light sensor and MS5637 for the barometer/altimeter. We will also be using the SparrowTransfer library for the wireless transmission of >here. A remote sensor node with the PIR attached to it, sending presence data. A receiver node, measuring also environmental parameters (temperature, humidity, light etc.) connected to the Raspberry Pi. Raspberry Pi connected to the Internet and sending all sensor data to DeviceHub. When opening the Serial Monitor from the Arduino IDE, you should see data coming in from the PIR and temperature sensors. Check if the data is correct, and then reprogram the node with #define DEBUG 0. Open the Serial Monitor window to check sensor output is available and consistent. First three values should be light levels, in the visible, infrared and UV spectrum, followed by temperature, humidity and barometric pressure. We also the presence and temperature values from the remote sensor. Check if they are consistent and that they have no errors. If they don't update, the remote sensor node is not in range, and you will need to bring it closer. Usually, inside a house this means a radius of about 15m from the receiving node. 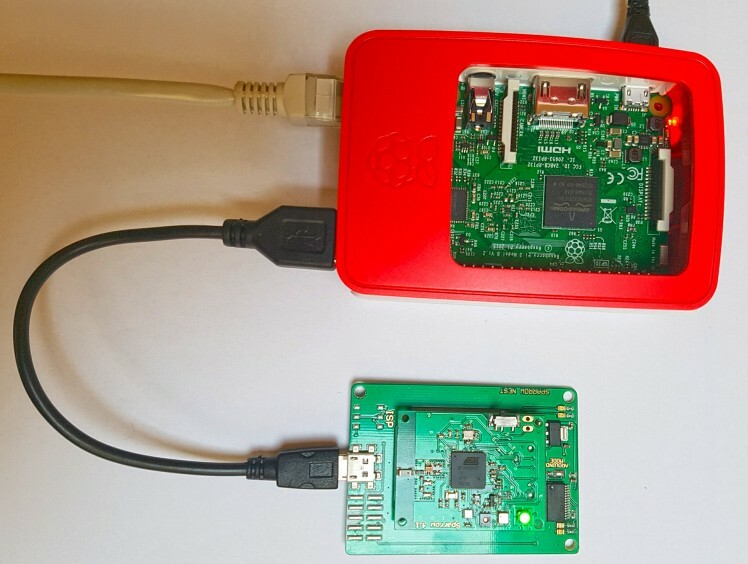 The next step after programming the Sparrow node is to connect your Raspberry Pi to your local network and write a small Python script to parse the CSV stream from the sensor node. Connect your Sparrow node to one of the USB ports of your Raspberry Pi and check if it mounted properly. It should appear as a ttyUSBx port in /dev. 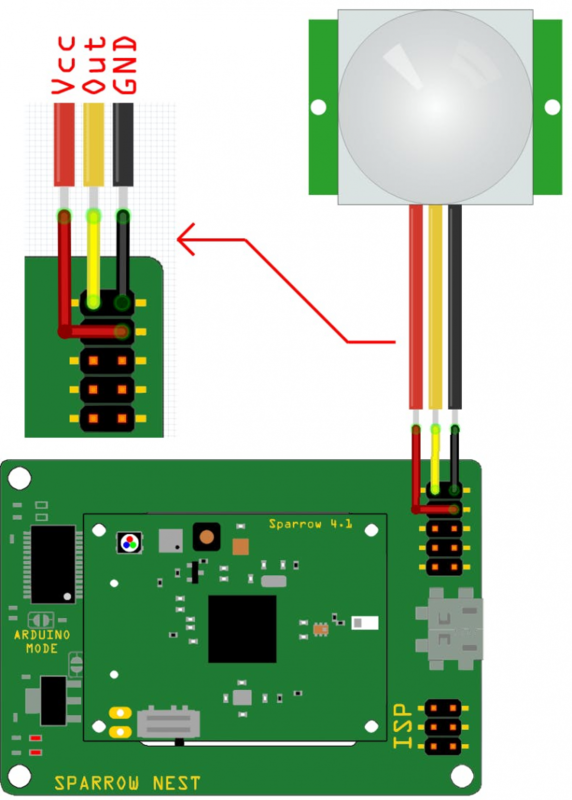 To access sensor >DeviceHub for this task, as it provides an easy way to send data, view sensor logs and also send commands back to the RaspberryPi. To gain access, you will first need to create an account. After registering, select Project>New Project and give your project a name. After creation, your project will gain a Project ID and an API Key, which will identify it on the platform. Now, you must add a new device to your project, so select Add Device and name it as you wish. Select RaspberryPi as Device Type, Python for Programming Language and Ethernet or WiFi as Connection Type. The device will also be assigned an unique Device UUID. Each device can have multiple sensors and actuator which can be easily added through the web interface, so let's create six sensors to correspond to our device sensors. Name them Temperature, Humidity, Pressure, Light, IR, and UV. Let's also add the two sensors from the remote Sparrow node. Name them Remote_Presence an Remote_Temperature. Each time you add a sensor, you must select its data type and (optionally) measurement unit. All sensors output analog data, so select Analog for each. If the code runs well, you should be able to see data coming into DeviceHub and the plot for each sensor advance with every new reading. Here's some photos of my completed project. You might want to power the remote node from a separate wall USB plug, any decent smartphone charger will do. Also, you might want to enclose the node in a nice case, I haven't had the time to do that. I've uploaded the code and all files to a GitHub repo. The project can be expanded by adding even more remote sensors, monitoring the environment in as rooms and locations as you need. Happy hacking! This code runs on the remote wireless sensor node.